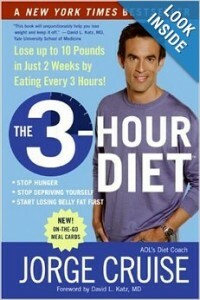 Well, Jorge Cruise employs a 3-Day Diet Plate Visualization Technique in his book The 3-Hour Diet. He suggests starting with a 9-inch dinner plate. Then visualize having half potion of vegetables, the other half about equally divided into carbohydrate (another visualization trick is to think of it as a rubric cube) and protein (a deck of cards) and one cap of fat. Jorge suggests that for those who are shorter in statue (ie 5’3) and weigh less than 150 pounds, (which I think generally refers to most Asian girls like me right? ), calorie intake should be lower. The total caloric intake should be 1,250 instead of 1,450. But watch out, over the weekend, I usually overload on those deep fried and greasy stuff like dough-sticks, fried carrot cake and char kway teow … I just tend to over-indulge! And as usual, the book only covers mainly Western fare. I have noticed that there are very few books out there that give a guideline for the Asian palate. So how much calories does a Kopitiam breakfast set carry? Or chicken rice and char kway teow? As we are aware, much of our favourite dishes are exactly loaded with vegetables and fibres either. For me, it’s really a guesstimate which has worked for me so far. I love the economic rice stall as that means I order 2 portions of any vegetables that I fancy, and one portion of meat! So it fits nicely with the dinner plate visualization that Jorge talks about. If I feel like having a bowl of laksa or prawn noodles, then I miss out on the vegetables portion right? I would add 1 portion of fruits or down a cup of vegetable juice like celery with green apples. Or if I have time, I would buy the pre-washed salads from the supermarket and make my own salad dressing. That includes olive oil, balsamic vinegar, with a little bit of wasabi paste. Mix everything up and drizzle over the greens. It’s actually not too bad hahahaa. I would also add some almond nuts and dried apricots. These dried foods can be bought at Fairprice Supermarket under the Origins brand. These are from organic sources. And they taste yummy!